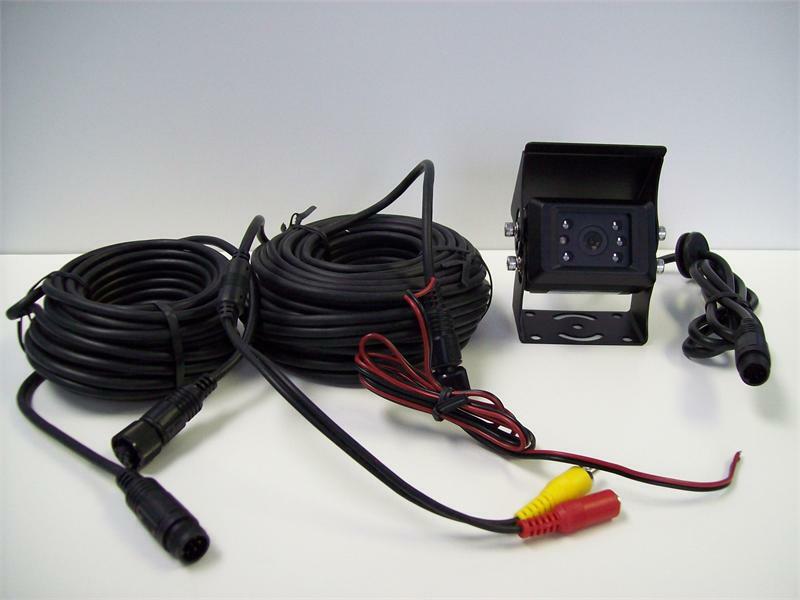 These dual camera trailer systems are designed for vehicles with boat, camper, or horse trailers. 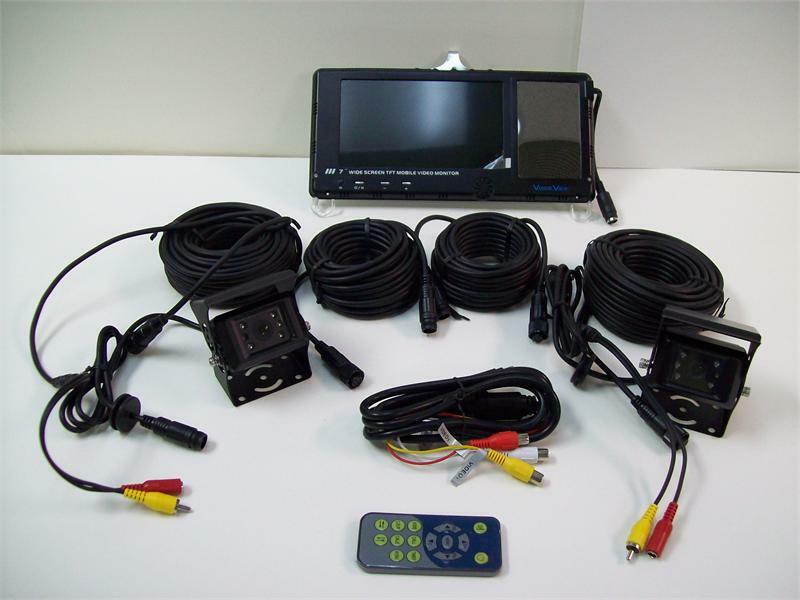 The system includes a Dash Monitor, two cameras and trailer cabling allowing you to hook up an Infra Red camera on your trailer and the camera of your choice for the back of your vehicle. The trailer camera is Infra Red for night vision. The 5 LED lights give the IR camera a powerful .5 LUX rating. Choose any of the other available cameras for your vehicle or call us for help in choosing. 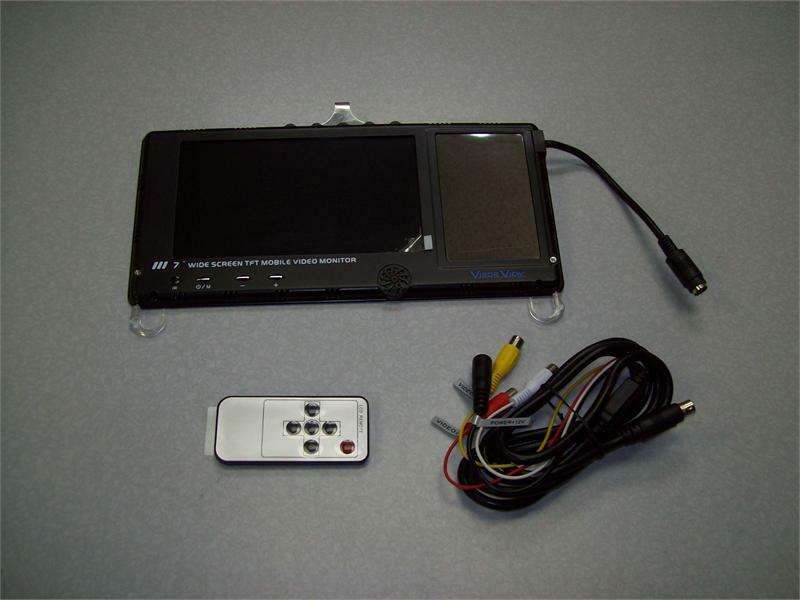 The Digital Color Visor Monitor includes dual video input and remote control. You can change from Video one camera view to video two camera view using the remote control, or a button on the monitor. The Visor monitor simply clips over your existing visor utilizing 1 clip on top and two clips on the bottom of the visor. The digital color resolution is extremely sharp. crisp, and clear. Put one camera on the back of your horse trailer and one inside your horse trailer to check on the animals from time to time without leaving your vehicle. Put one camera on your vehicle and a second camera on the back of your 5th wheel. Other monitors are also available with the 2 camera system. The trailer camera is a CCD Color, waterproof Infra Red camera with a .5 Lux rating for excellent night vision. The camera has a wide 130 degree angle lens offering an extremely clear, crisp quality color picture. The cameras include 5 LED lights and one light sensor, sunshield, mounting bracket/hardware and 49 foot cable. Extension or trailer cables are available in 24 foot increments, with waterproof cap included for protection of the electrical components.